DTNA eLink is a mobile software application operating on either iOS or Android operating systems. 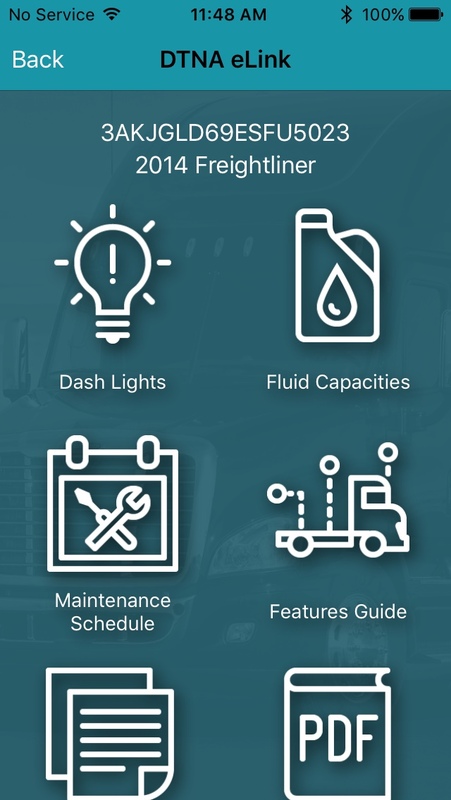 The application provides important features to drivers/operators of Freightliner or Western Star heavy trucks. Fault Codes—both Active and Inactive fault codes. Fluid (engine oil) capacities for specific Detroit® engine applications. Maintenance schedule—provides the mileage interval based on short/long haul application and details of items covered in each schedule. 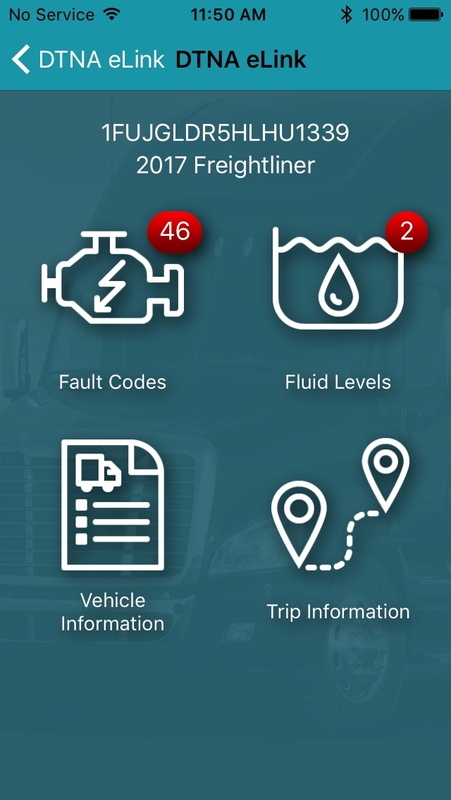 Trip Information—includes trip specific information related to fuel usage, miles, maximum speed, cruise control speed, hours of operation, etc. 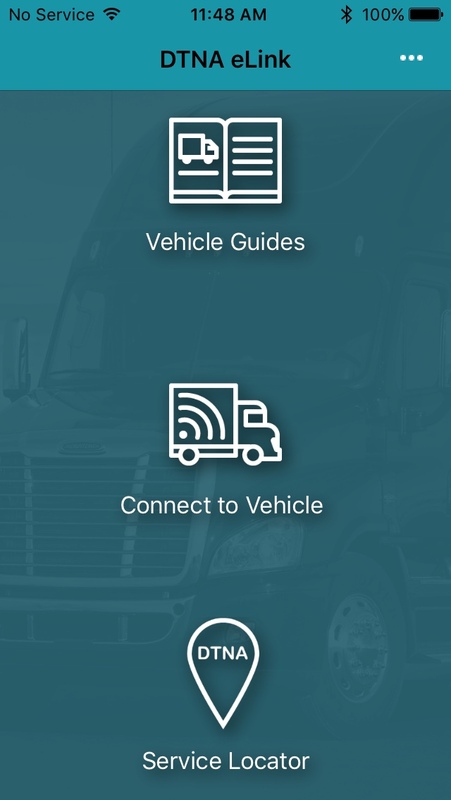 Service Locator—uses the current location or City, State / ZIP code to look up Freightliner, Western Star, and Detroit® engine service/dealer locations nearby. Note: Compatible vehicle communication interfaces (VCIs) include the NEXIQ Blue-Link™ Mini and the NEXIQ USB-Link™ 2: Wi-Fi Edition. These VCIs (i.e., adapters) are available and can be purchased from diagnosticlink.nexiq.com.